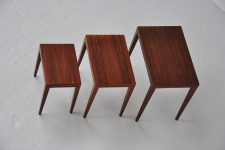 Fantastic shaped nesting table set by Severin Hansen Jr for Haslev Mobelsnedkeri, Denmark 1960. 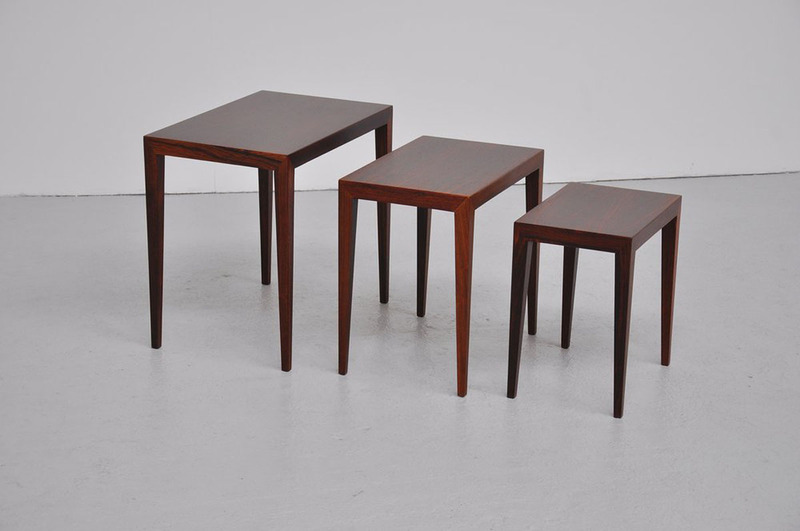 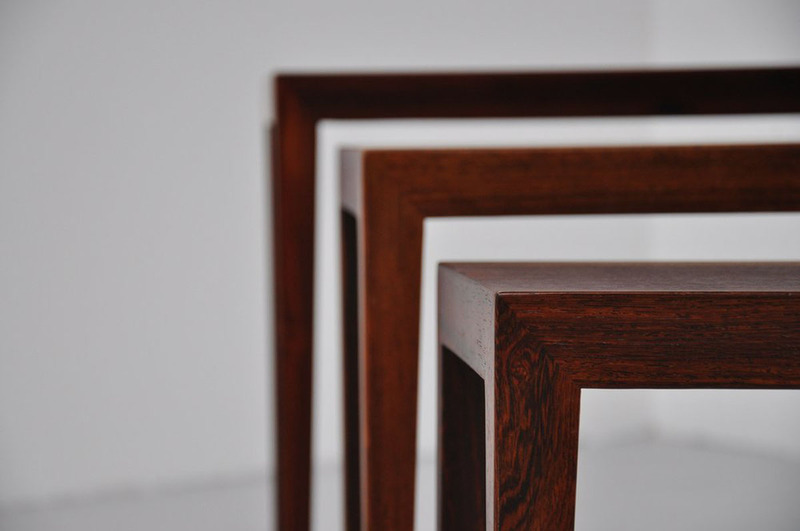 This is for a fantastic set of high quality rosewood tables in super condition and fantastic grain on the veneer. 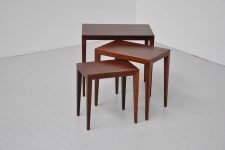 The tables are marked several times. 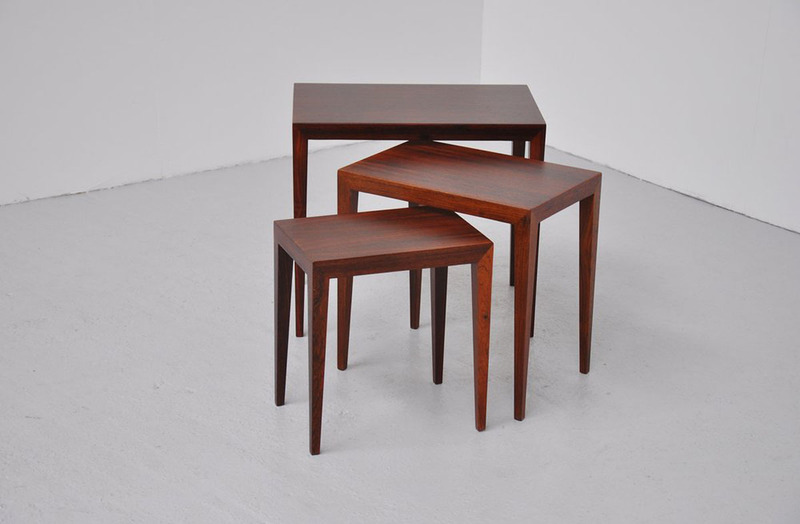 One of the most beautiful nesting table sets around.